Ships today if you order in the next 8 hours 58 minutes. 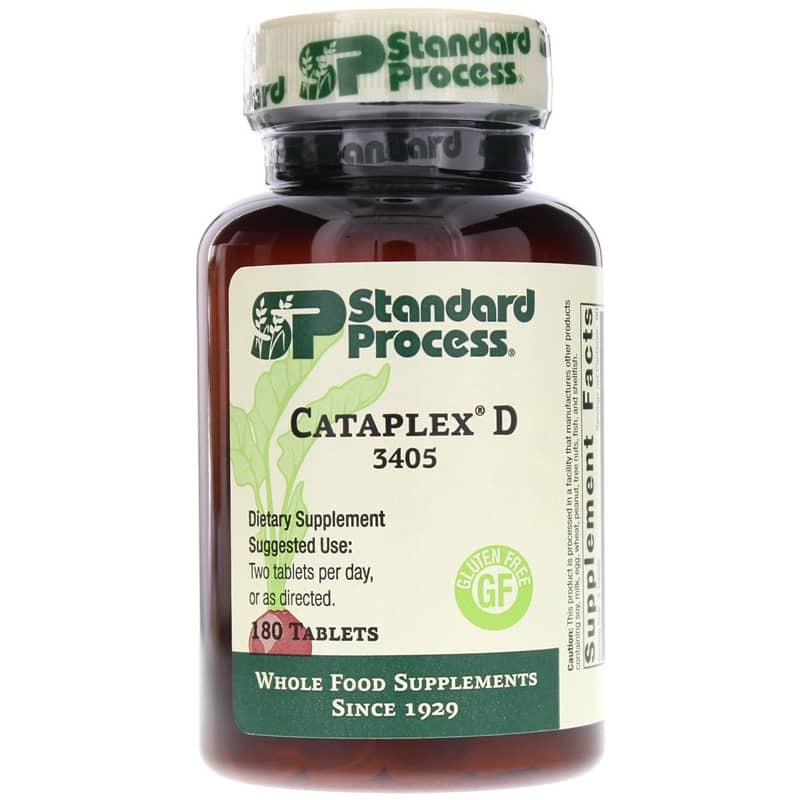 Cataplex D from Standard Process is a dietary supplement that supports bone health, mineral absorption, the immune system, and cellular processes. 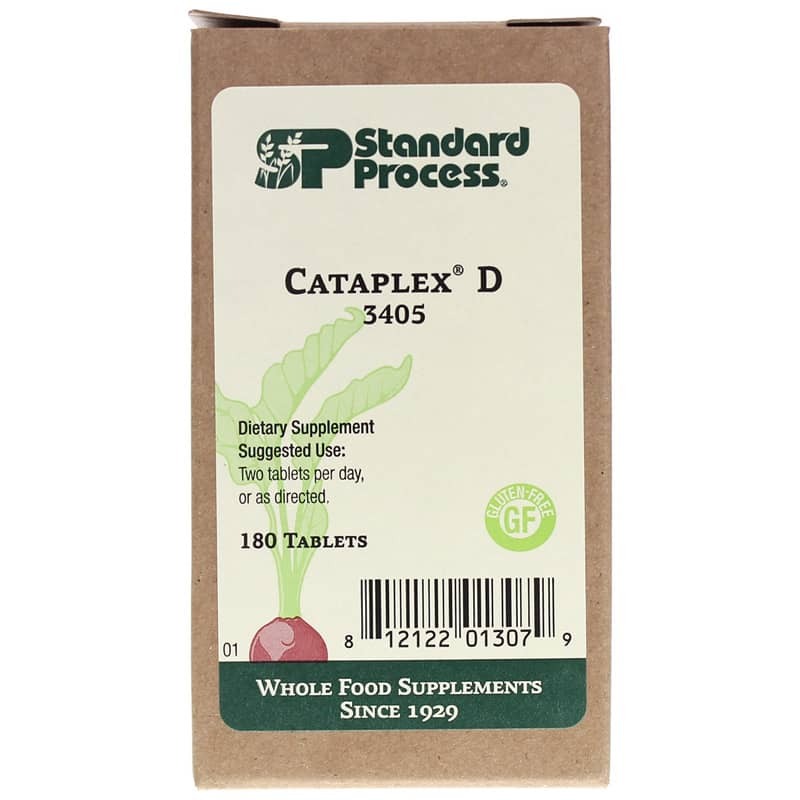 Ingredients: Calcium lactate, milk powder, potassium citrate, glycerin, calcium stearate, arabic gum, starch, sucrose, vitamin A palmitate, cholecalciferol, and ascorbic acid. 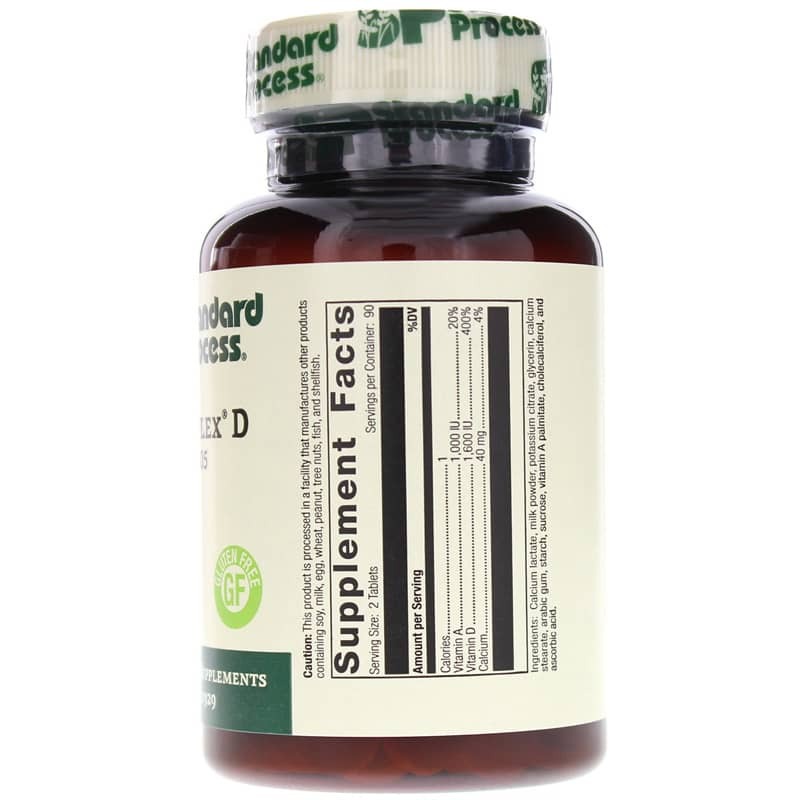 Adults: Two tablets per day, or as directed.